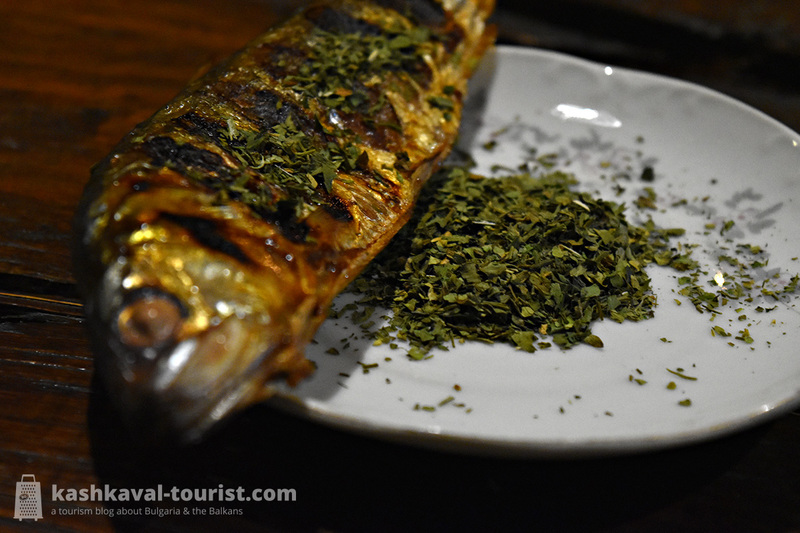 No other national cuisine in the world has such a strong relationship with summer savoury (Satureja hortensis), or what Bulgarians call chubritsa (чубрица). Indeed, to other Balkan peoples that don’t use this spice nearly as much, it may very well be a definition of the Bulgarian taste and the queen of Bulgarian spices. Summer savoury is an annual plant with a specific herbal taste. Its leaves, whether dried or fresh, contribute a characteristic aroma to meat, legume or fish dishes and stews. Unlike spearmint, summer savoury is a lot more of a team player that works well with parsley, celery or bay laurel. And of course, it’s a key part of the sharena sol spice mix that you can’t leave Bulgaria without trying! Bulgarian honey garlic (Nectaroscordum siculum ssp. 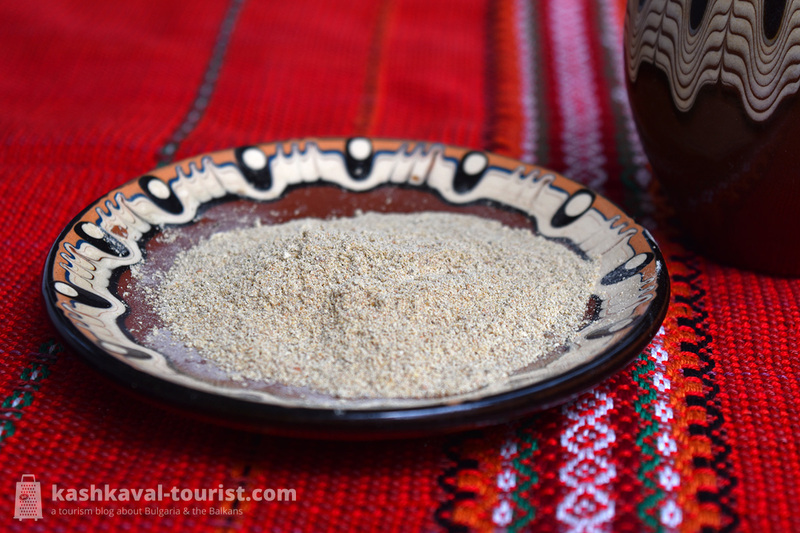 Bulgaricum), locally known as samardala (самардала), is something of a cult spice in several pockets of eastern Bulgaria, particularly in the Balkan Mountains around Stara Zagora and Sliven, as well as in Strandzha. A native of the Black Sea and Mediterranean Basins, honey garlic prefers shady and damp habitats and it grows in bulbs. Bulgarian honey garlic is usually mixed with salt before it’s dried and crushed, or its taste would otherwise be too strong. It’s a great addition to potato meals, rice, meats, mushrooms or fresh salads, particularly if you want to evoke the taste of eastern Bulgaria. Whether it’s freshly-caught mountain river trout or some amazing Black Sea mussels, lovage (Levisticum officinale) is your companion to Bulgarian-style fish and seafood. Called devesil (девесил) or rarely lyushtyan (лющян) in Bulgarian, this perennial southern plant has a taste best described as middle ground between celery and parsley. Fresh or dried, lovage’s leaves are a preferred seasoning for fish or chicken soups, broths and lamb dishes. Cooking with lovage is quite possibly the easiest way to make your fish and seafood taste Bulgarian. A very different alternative that is used sometimes is dried sumac (Rhus coriaria), which will add a decidedly Middle Eastern flavour to your fish. 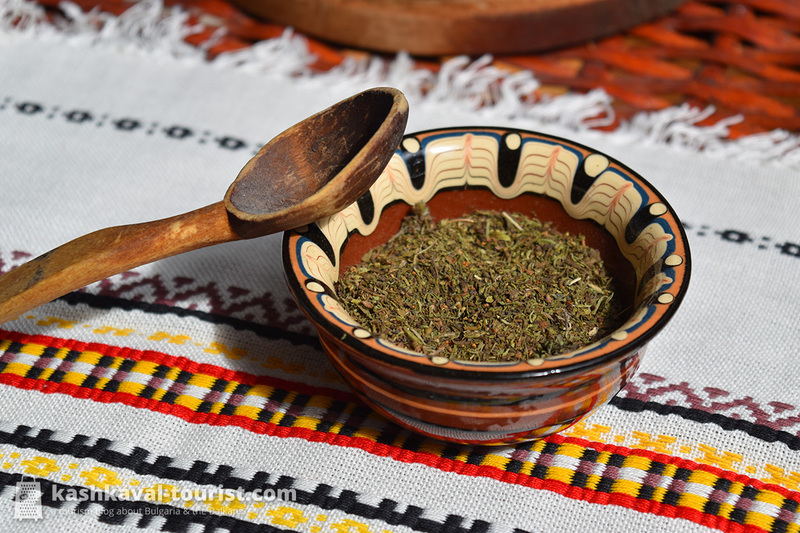 In Bulgarian cuisine, no other spice has such a particular association with meat as does cumin (Cuminum cyminum). Bulgarians call this Eastern Mediterranean plant kimion (кимион) and its aroma is practically synonymous with the taste of local ground meat dishes like kyufte and kebapche, as well as barbecue and dry sausages. 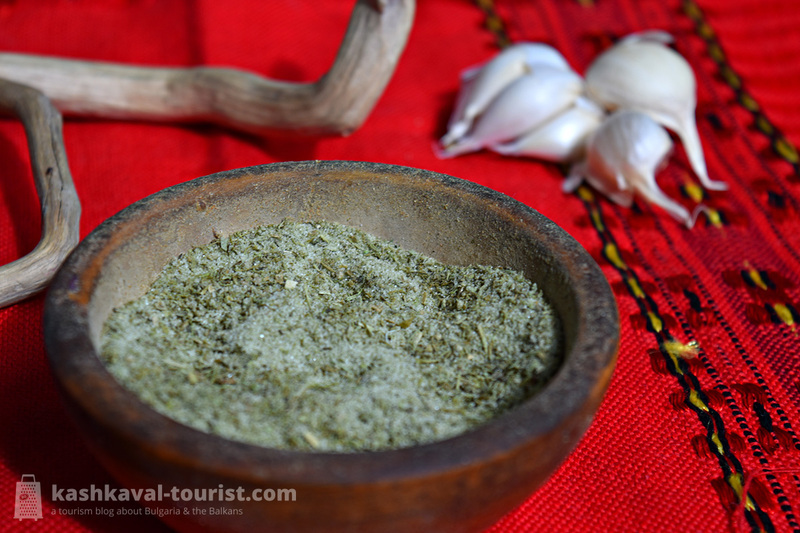 Cumin grows in its wild form in shaded hilly areas of northeastern Bulgaria, though nowadays it’s most often cultivated. Its finely ground yellow-brown seeds have a warm and bitter taste. In the local tradition, cumin is not only a great seasoning for meat, but works well in soups and salads too. Bulgarians love their paprika (Capsicum annuum) so much that they divide it into no less than four grades, depending on its sweetness and hotness. What Bulgarians call cherven piper (червен пипер) can be sweet, mildly hot (or gentle), hot (compared to cayenne pepper) or extra hot (compared to chili pepper). 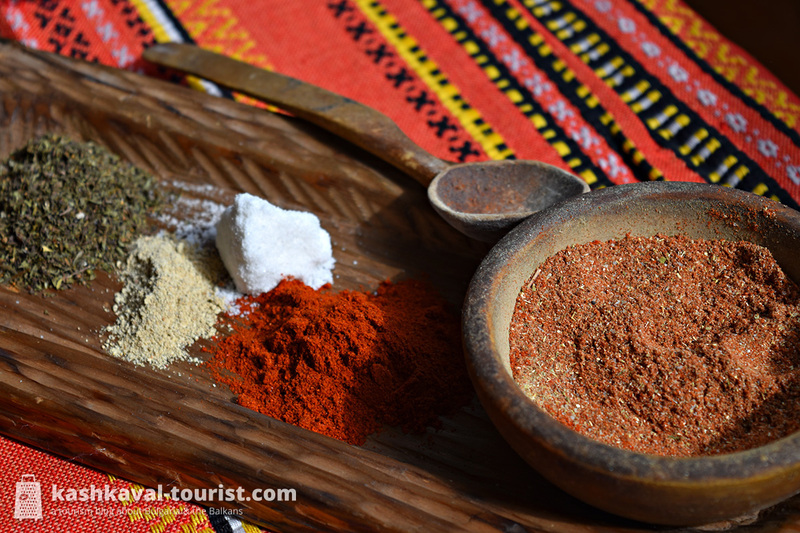 In Bulgaria, mild paprika is most often finely ground and used on bread or especially white brined cheese (sirene). On the other hand, extra hot paprika is only coarsely crushed and along with garlic and vinegar, it’s a must-have addition to the shkembe chorba tripe soup. 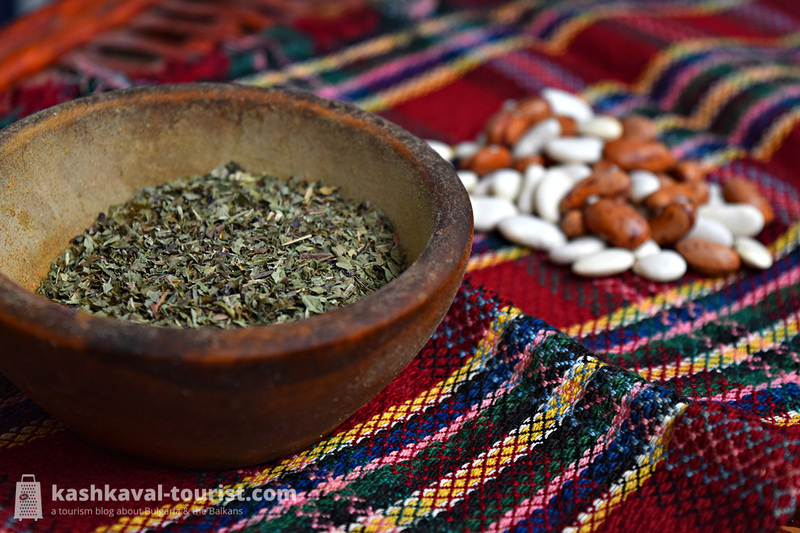 Although it’s a spice mostly associated with the Indian and Middle Eastern cooking traditions, fenugreek (Trigonella foenum-graecum) also has its place in Bulgarian cuisine. An annual plant in the legume family, fenugreek is locally referred to as sminduh (сминдух) and chimen (чимен), the latter usually with regard to the seeds only. Fenugreek’s strong and bitter aroma contributes to the taste profile of Bulgarian dry sausages and salamis, pastirma, eggs, meat and fish meals. It pairs well with parsley, summer savoury, paprika, dill and even spearmint, and it’s sometimes used in sharena sol. We know it’s time to visit Bulgaria again when our cupboard supplies of chubritsa and sharena sol are running low. I’ve never heard of honey garlic, but I’ll be sure to look for it when we go to Bulgaria next summer. That’s a definite sign you guys need to come back, and soon! You can find honey garlic / samardala in every spice shop and in the larger supermarkets. It’s usually pre-mixed with salt. Strangely I’ve never heard of honey garlic either….curious! I think many Bulgarians don’t really know what it is either. They may have heard the name, but they might not even know it’s a spice or let alone how it’s used. Great post Todor, I’m sharing it on my FB page. 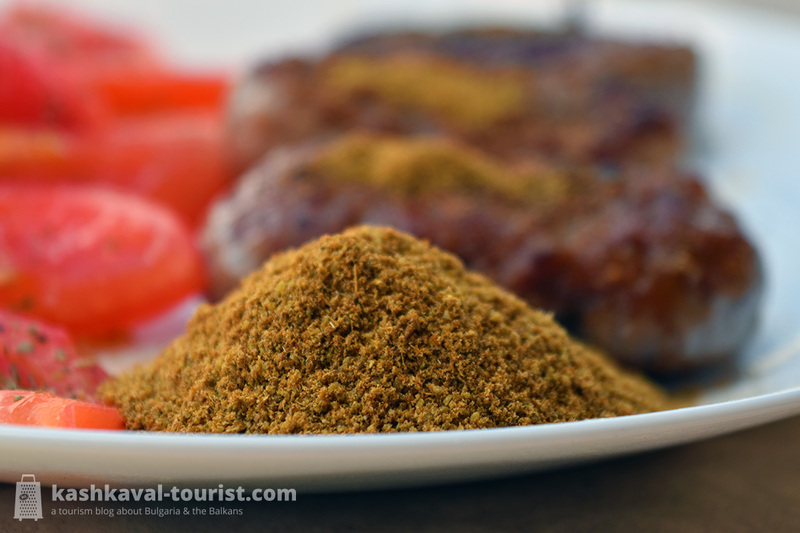 I just returned from a 2 week trip to Bulgaria and I am in love with its people and spices. I brought home chubritza. What spices are in this because it seems like a blend? Glad you had such a great time in Bulgaria! If it’s called chubritsa, it shouldn’t normally be a mix. But it might be something resembling sharena sol from what you’re describing. Very welcome, of course! There’s tons of visitors from East Asia and somewhat less from South Asia, but they’re also quite prominent. Absolutely fantastic blog posts Todor. 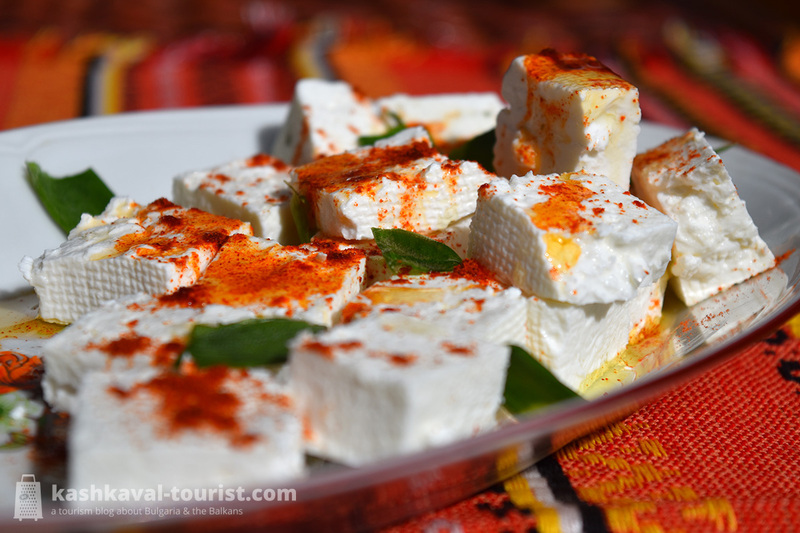 I’m researching Bulgarian food and culture for a book I’m writing and your blog posts provide an excellent basis for more in-depth research. You’re making me want to visit Bulgaria. I must post more similar things on my blog about Greece (where I live).